It’s no mystery that I love wine (and beer…and liquor). 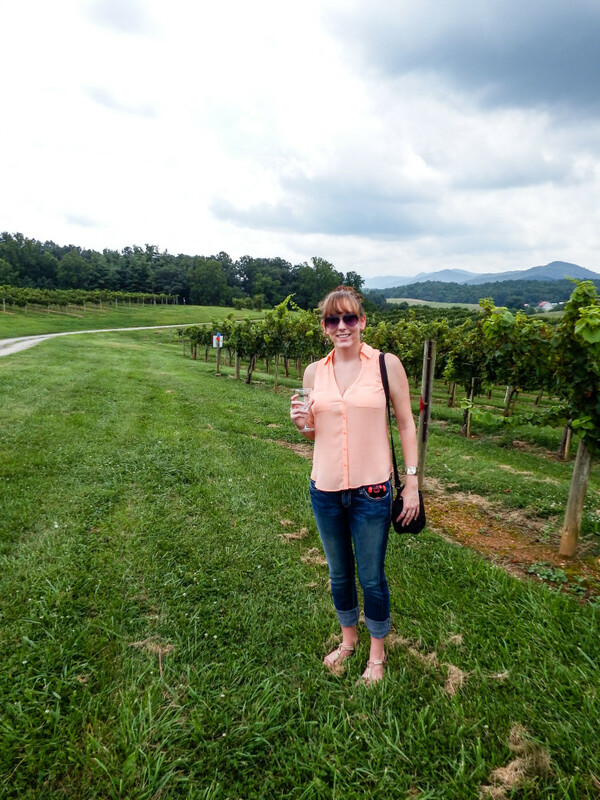 So when my boyfriend suggested that we splurge for a behind-the-scenes wine tour (the Vine to Wine Tour) at the Biltmore, I more than happily agreed. Due to some miscommunication between us and the Biltmore website, we thought we had to sign up for the tour on the day we wanted to do it. So when we were buying our day tickets and mentioned the tour, the attendant at the main ticket office was confused and thought we just wanted to go on the wine tour that is included in the ticket price. Not her fault or the Biltmore’s – just a lot of miscommunication. Anyway we headed straight for the winery and talked to the lady at the information booth right outside the winery. She understood right away… but there was only one seat left for that day’s tour and there were two of us. Instead of just brushing us off, she started making phone calls. While she was researching, she sent us on into the winery and told us to speak to one of the managers there. Once we explained the situation to him he was able to insure that the tour would use the larger of their two buses and we could both go on the tour. I can’t say how happy this made us. The Biltmore staff were fantastic in this. The Vine to Wine tour started off right. We were given a couple appetizers and a glass of champagne outside the winery while our guide explained the history. The lesson I learned from her talk? If you have a wealthy beneficiary who gives you the option of a dairy farm or a large estate…go with the estate. Plus you’ll get a sweet house to live in. Anyway after the introduction we all piled into the van and headed out into the hills. I was shocked to see not only how large the estate was but just how many vineyards were tucked away behind the trees. 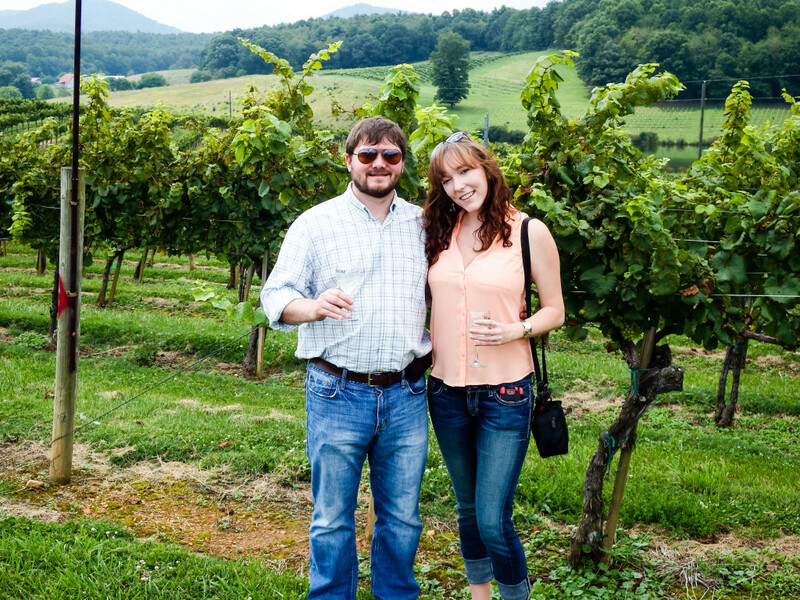 Through some impressive gates, over a few rivers, and past some old, falling apart houses, we emerged in the vineyards. I’ve never been to a vineyard before so I wasn’t sure what to expect. Probably Italy. 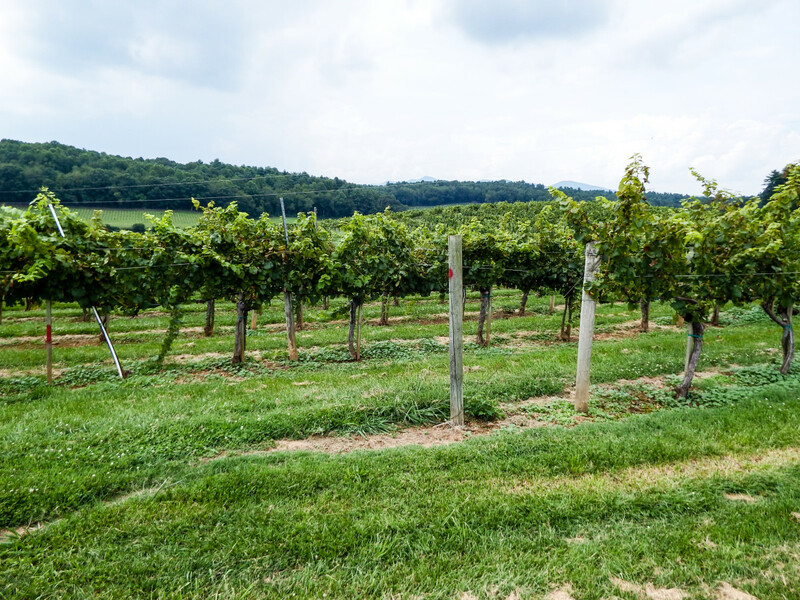 But a vineyard tucked into the mountains of Asheville does not look like Italy. For one it was very humid, wet, and hot. 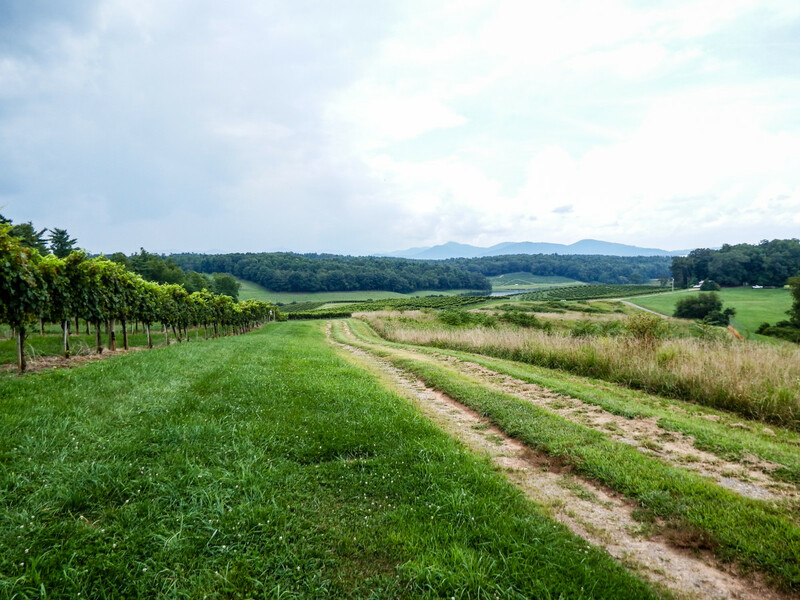 But we were able to walk up to the vines, see the grapes growing on the trees, learn about tumultuous history of the Biltmore winery (who knew grapes could be so finicky), oh and sample several wines made from the grapes we were looking at. 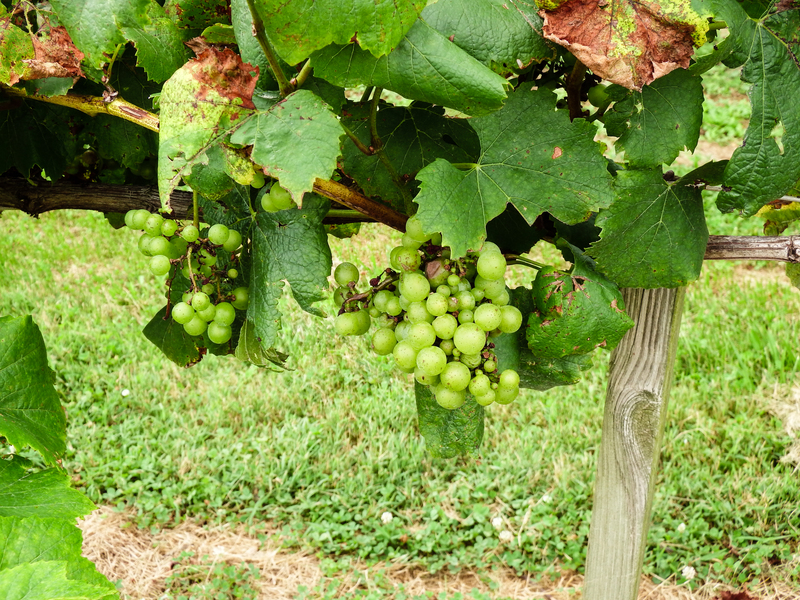 The vineyard trip was fun and it was interesting to see both white and red grapes. After the vineyard tour, we hopped onto the bus and headed back to the winery. 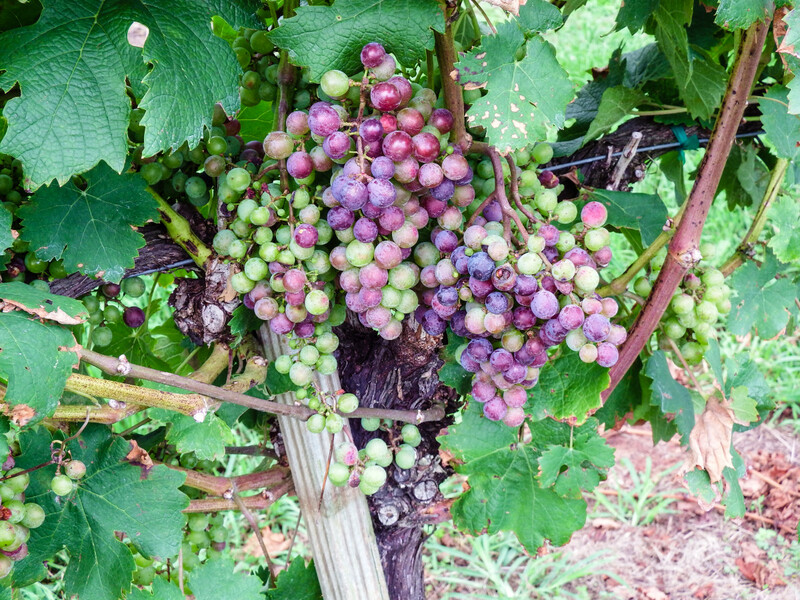 Here we got to see the equipment that takes the grapes we saw and makes them into the wonderfulness that fills my glass. The best part of this trip, for sure though, was the end. 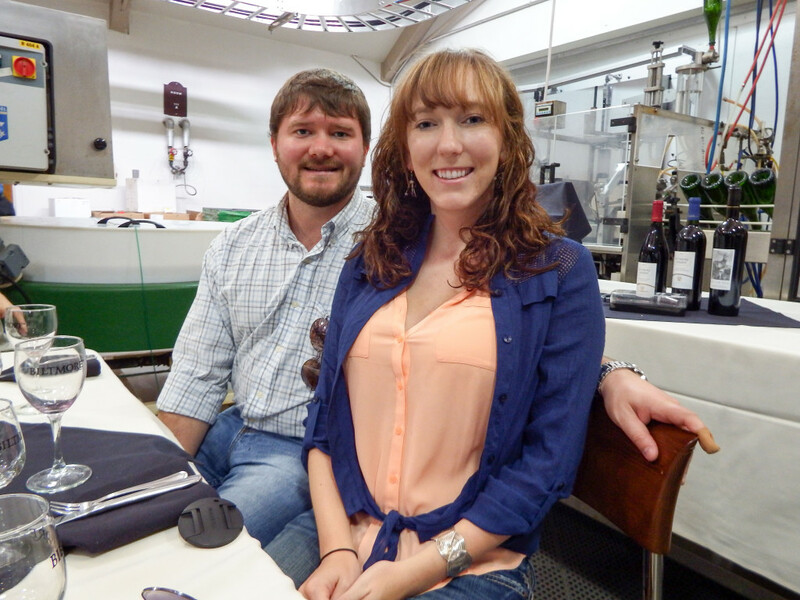 After exploring the vineyard and winery, we got to have a little picnic in the middle of the winery. Right in the center of one of their main filling/storing room. The normal winery tour went by on the level above us and visitors would peer down at us through a glass window as we talked, drank, laughed, and ate. At first it was a tad odd but the more we drank, the less we noticed them. By the end of her tale, we were all rolling with laughter, and trying not to spill our glasses. Her story is probably my strongest memory of this tour. It wasn’t the wine. It wasn’t the grapes. Or the vineyard. Or the exclusive table. It was the people. As it often is.